It’s cold today in Omaha, friends. Cold enough that the schools are closed. Cold enough that (rumor has it) the Canon to the Ordinary’s car wouldn’t start. Cold enough that lots of people are simply staying home with a cup of hot cocoa and a good book if they can help it. The temperature is hovering around one degree, but the windchill is -27. I don’t know about you, but on days like this, my thoughts and prayers immediately turn to those among us who don’t have a warm place to stay, or whose warm place is not a secure one. I think of people who can’t afford to sit down today, because they need to keep moving in order to stay warm. I think of everyone who doesn’t know where their next meal is coming from. Nebraska is a place extremes, in terms of weather, and almost every season has its dangerous times: Tornados and thunderstorms in the spring, blistering heat in the summer, and brutal cold in the winter. Finding shelter from the elements is essential to survival here, which can be very hard to do if you are homeless or living below the poverty line. If we’re supposed to treat others the way we would treat Jesus, then we Christians have a lot to work to do for those in our community who have no place to lay their heads. Several churches in the Diocese of Nebraska are serving Jesus by serving warm meals this season (and all year ’round!). I stopped by one such ministry, Downtown Episcopal Outreach (DEO), today to help out where I could and also enjoy a great lunch with some of the neighbors in Omaha’s downtown area. DEO is a ministry of the entire Diocese of Nebraska. Parishes are invited to sign up to host a lunch that is prepared and served at Trinity Cathedral in Omaha. Every week is a little different–different menu, different servers, different folks being served. There are a couple constants, though: The food is always great, and everyone eats together. One of DEO’s regular diners told me today that while three meals are served each Wednesday in the downtown area (a wonderful problem to have! ), “the one served at Trinity is the best.” That feels pretty good to hear, because so much of how we experience love finds its expression in the food we make and share. Folks’ bodies may just need a warm meal on a cold day, but their souls need a delicious meal. 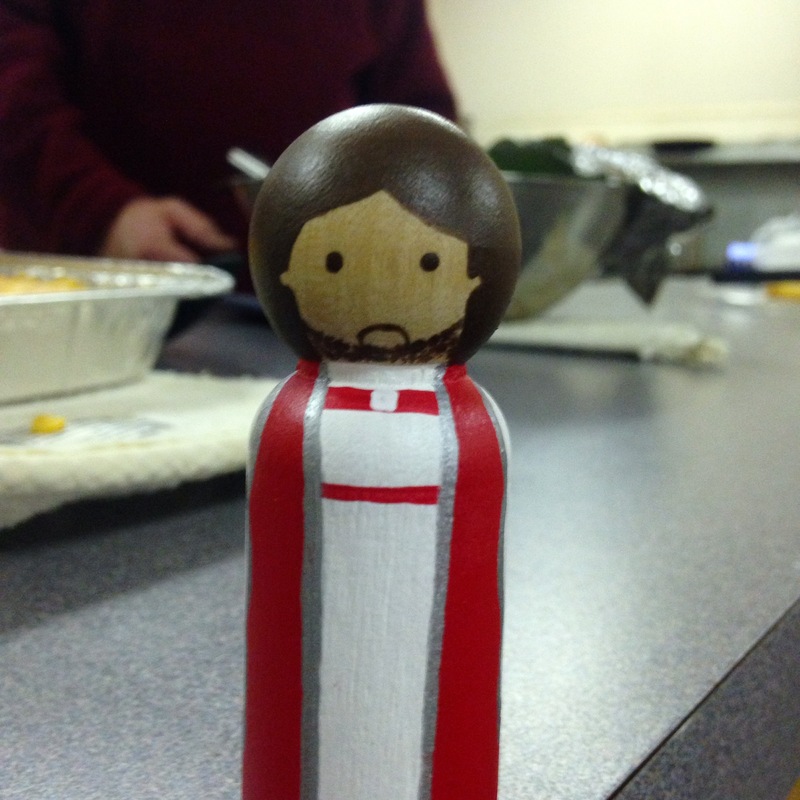 (DEO also hosted a fantastic meal on Christmas Eve, to which all were welcome! You can read more about it here). If you’re interested in learning more about DEO, you can contact Trinity Cathedral directly. 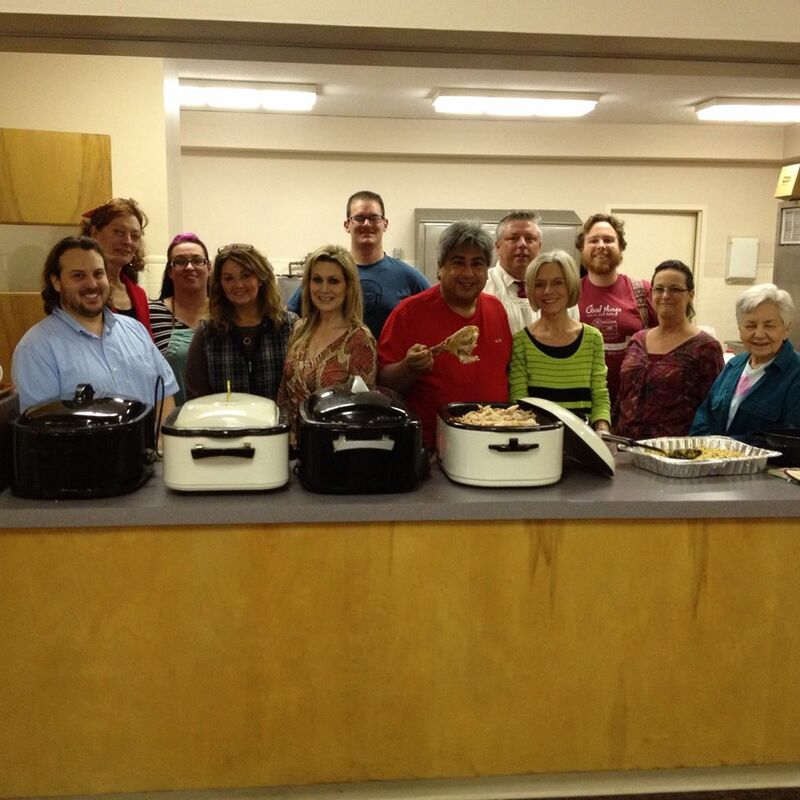 Church of Our Savior in North Platte, Nebraska, provides a weekly meal in their parish as well. Their consistently high attendance reminds us all that poverty is not just an urban concern. You can read more about their ministry here.